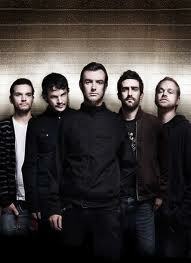 There’s no doubt in my mind that Australian progressive-rockers Karnivool are perfectionists. Having only released two full length LP’s since their inception in 1997, it’s clear that every riff and every fill has been meticulously placed, and the idea of simply throwing a solo here or dumping a scream there is practically sacrilege. Substantiating this claim, both Themata and Sound Awake have been perceived by many as near masterpieces of their respective genres, and the band has all but become the benchmark which other prospective prog-rockers are measured against. These lofty standards must be difficult for any new band to live up to, but they’re also nigh on impossible for the band themselves to achieve. Their first new output for almost four years “The Refusal” sees the band push both their own boundaries as musicians and also the certitude of their fan base, as harsh vocals dominate the song. Ian Kenny has traditionally embraced whispering, crooning and shouting as his main methods of delivery, but “The Refusal” see convention shattered as screams pervade the song. The crunching riffs are still here, and they’re complemented by a sinister lead guitar, a crushing bass-line and a typically ferocious drumming performance, in a foreboding Karnivool sound which feels like it would relish the prospect of meeting you with a menacing grin down a dark alley at 3am. Instrumental performances aside, the adoption of harsh vocals is likely to be the divisive factor in whether or not the hype for Karnivool's third release soars or dives, especially if their implementation is indicative of the material to come. You can listen to "The Refusal" right here, and decide for yourself.